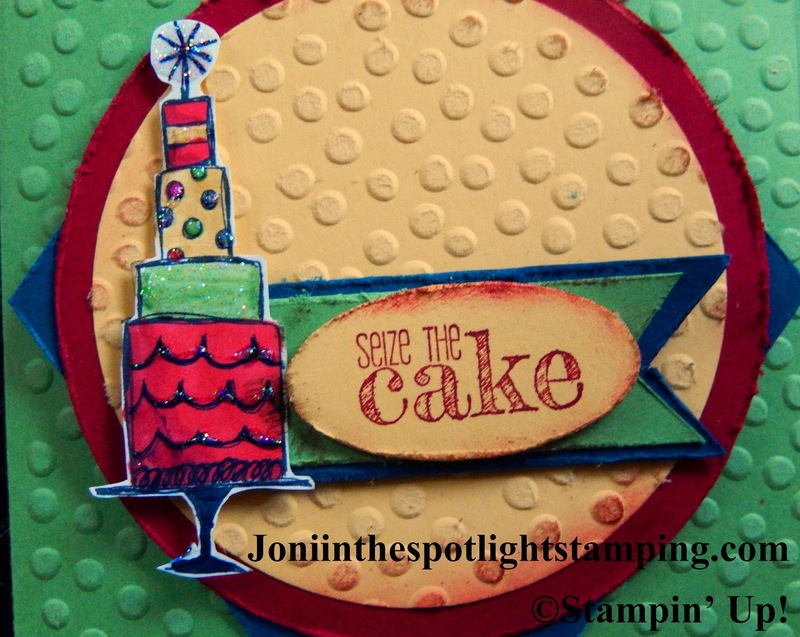 Joni in the Spotlight Stamping: COLORING DOWN THE LINES-AND "CASE"ING!!!! Can You Case It? challenge blog!! Great idea!!! So I hope you're hopping over from Helen's blog! 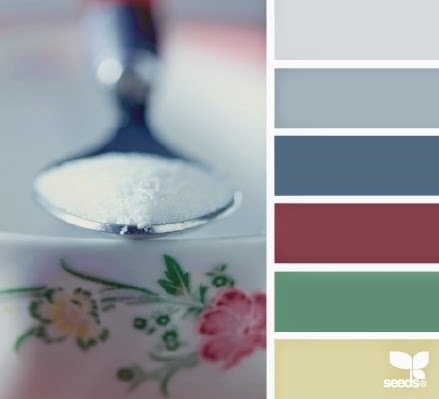 She does such nice work with colors! And when you're through here, head on over to Laura's blog!! She's amazingly creative! Then keep on going!!! So many fun things!! Be sure to leave a comment!! We love to hear from you! And be extra sure to wish Sandy a Happy Birthday!!! Pretty, huh? I like the brights!! Looks like our Regals! The added piece this week is to distress the card. Now here's the sketch challenge from Can You Case It? Now I know it's not uber distressed! I'm not a huge distresser! I did use my Distressing Tool & kind of "ragged up" the edges! 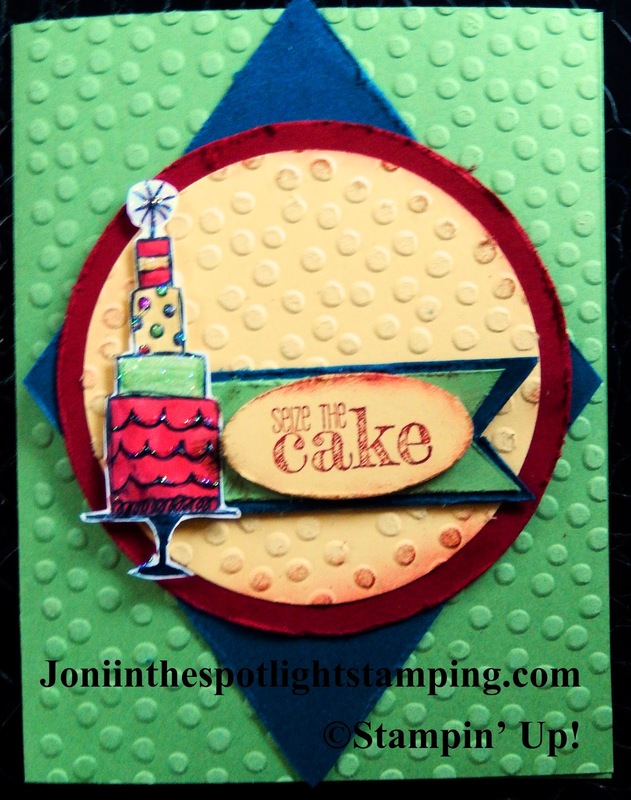 I also ran a sanding block along the embossed part of the card! A little ink on the edges helped add some distressing as well! I used all the colors but the Basic Gray. I went for the brights here-thought it was appropriate for a birthday card! Now you may be saying "hmmm, what the heck stamp sets are those"? Well if you are, then you don't have the new catty yet!! Contact me asap for yours!! The cake is from one of the great hostess sets (Life's Adventure) & the sentiment is from a really cool occasions set (Something to Say)! You don't have to wait long to get yours-they'll all be available June 2!!!!! Woohoo!!!! I tried to keep fairly close to the challenge sketch. I didn't have any start-but I will after next week!!! Hint hint!!!! And note a touch of bling on the cake-of course!!! Dazzling Details! I need to get them by the case!!! And the new catty has gold!!! I'm goosebumping as I think about it!!! So it was a fun week to make a card!!! Hope you enjoyed this week's blog hop!! Only a few days left to order from the old catalog & the Occasions Mini! Don't miss out on those faves!! !